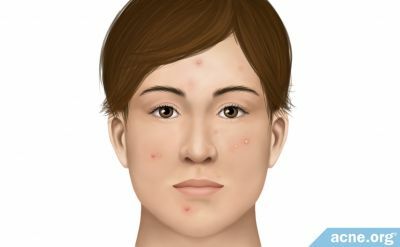 I took accutane 5 years ago and have permanent damage: Now my face has skin fragility and thinness, extreme dryness and wrinkling, inflammation and irritation, dyshesion and diminished waterproofing, as the skin barrier homeostasis has been disrupted, etc. etc. about 1 year ago i started taking adderall for adhd. and this has made my skin condition worse. i'm wondering if anyone knows anything about PPAR stimulators ...which stimulate seb glands and other relevant mechanisms. i did not realize that there are TOPICAL ppar stims. i have posted about internal treatments for diabetes, but a topical option seems more pragmatic and less risky, especially since my damage is mostly localized in the face. Peroxisome proliferator-activated receptor (PPAR)-beta/delta stimulates differentiation and lipid accumulation in keratinocytes. Schmuth M, Haqq CM, Cairns WJ, Holder JC, Dorsam S, Chang S, Lau P, Fowler AJ, Chuang G, Moser AH, Brown BE, Mao-Qiang M, Uchida Y, Schoonjans K, Auwerx J, Chambon P, Willson TM, Elias PM, Feingold KR. J Invest Dermatol. 2004 Oct;123(4):806. Peroxisome proliferator-activated receptor (PPAR) are nuclear hormone receptors that are activated by endogenous lipid metabolites. Previous studies have demonstrated that PPAR-alpha activation stimulates keratinocyte differentiation in vitro and in vivo, is anti-inflammatory, and improves barrier homeostasis. Recent studies have shown that PPAR-beta/delta activation induces keratinocyte differentiation in vitro. This study demonstrated that topical treatment of mice with a selective PPAR-beta/delta agonist (GW1514) in vivo had pro-differentiating effects, was anti-inflammatory, improved barrier homeostasis, and stimulated differentiation in a disease model of epidermal hyperproliferation [corrected]. In contrast to PPAR-alpha activation, PPAR-beta/deltain vivo did not display anti-proliferative or pro-apoptotic effects. The pro-differentiating effects persisted in mice lacking PPAR-alpha, but were decreased in mice deficient in retinoid X receptor-alpha, the major heterodimerization partner of PPAR. Furthermore, in vitro PPAR-beta/delta activation, aside from stimulating differentiation-related genes, additionally induced adipose differentiation-related protein (ADRP) and fasting induced adipose factor (FIAF) mRNA in cultures keratinocytes, which was paralleled by increased oil red O staining indicative of lipid accumulation, the bulk of which were triglycerides (TG). Comparison of differentially expressed genes between PPAR-beta/delta and PPAR-alpha activation revealed distinct profiles. Together, these studies indicate that PPAR-beta/delta activation stimulates keratinocyte differentiation, is anti-inflammatory, improves barrier homeostasis, and stimulates TG accumulation in keratinocytes. So its just your facial skin thats very dry after accutane? how is the rest of your skin on your body? What did the derm that prescribed the Accutane say about this severe dryness? yes just my face. however i have dry, coarse hair around my hair near the ear line and neck line. but the difference between my face and the rest of my body is so stark -- I actually really like the rest of my skin. one other thing.....even within my face the damage seems to exclude my chin and even nose. my nose still has oil production and my chin also looks and feels like "normal"...but the rest of my face (cheeks, forhead, etc.) are very clearly damaged. Just read your post. Lad I'm Irish too and going through the exact same problem as you. Post accutane damage is horrible. Hope your still active on this as I'd really appreciate someone to talk to about this. Interests: Parties, Night Clubs, Events, etc. TERRIBLE for my skin.<br /><br />Makeup...I love it so much. If only I could wear something other than bare-bones powder foundation.<br /><br />Plastic Surgery<br /><br />Researching skin/skincare/plastic surgery...I research about 4-5 hours a day. I suppose that's a lot for someone who STILL has skin problems. What dose did you take? And for how long? I really want to get this thred going again because this is EXACTLY the problem I have and from reading the article this is the SOLUTION. I know im not the only person with extremely dry skin even after 1 year post Accutane. I know it's a damaged lipid barrier and Does anyone know how to obtain these PPAR stimulators, is there a brand ? a different name for them ? If there is an answer to repairing this problem then its this !! Niacin is one of them. That should be easy to find. Lots of people here have had some nice results with Niacin supplementation. Another is Orlistat. If you don't know what that is, maybe you've heard of the pill Alli. Unless you're willing to change your underwear twice a day, I wouldn't recommend getting it lol. Sorry it took me awhile to get back to this thread. Thank you very kindly for your reply. Been looking everywhere for a solution to this. I read afew articles and medical info on niacin. Looks promising. I'll look into the other one you mentioned too. This is definately something that needs more attention. Thanks for posting that article flem. The article is great and seems to address the problem, and offers a solution for it. But what frustrates me is looking at the patent its dated year 2000, and yet there's no updates on whether this patent has been turned into a product or something consumers can use. I know the science is available fix accutane damage and repair the lipid barrier, but there is nothing available to consumers that I know of, if anyone has anything, please share !!! !